Sign Up & Get Instant Access Now! Easily create wristbands for offense or defense, and store them in the cloud so that you've got access to them wherever you go. 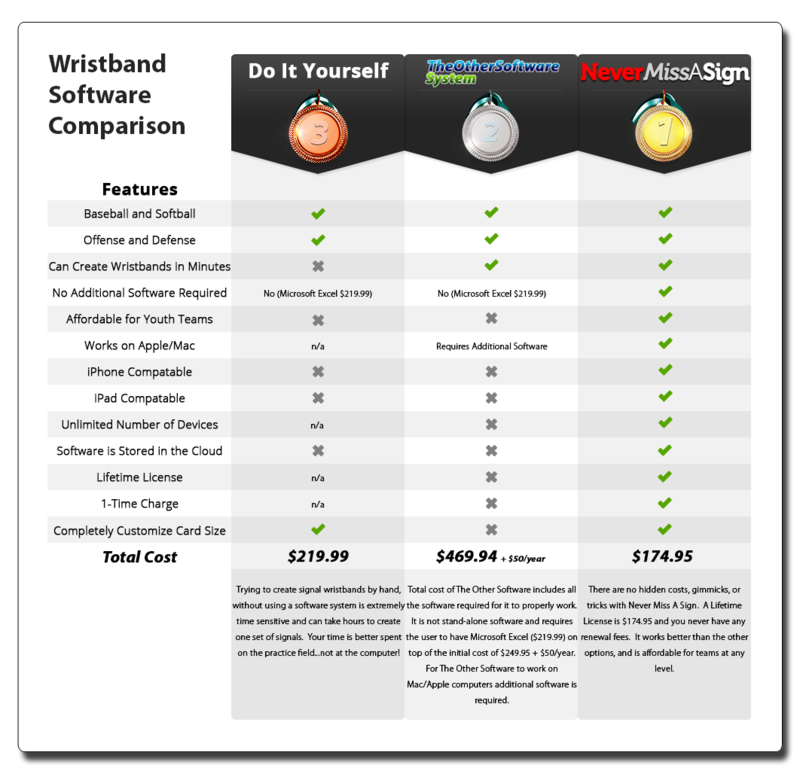 When it comes to software to create signal wristbands for baseball or softball there is one clear choice...Never Miss A Sign! If you have been paying attention to high school and college baseball/softball over the past few years you've probably noticed something. More and more teams are choosing to relay their signs using wristbands. 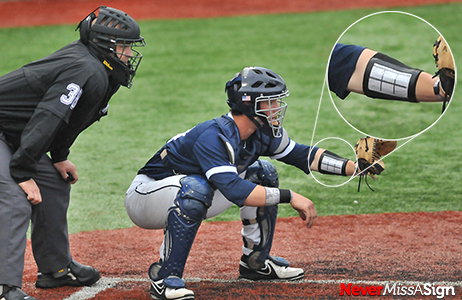 This is because using signal wristbands in baseball and softball is highly effective! Missed signs are a thing of the past! Teams who use Never Miss A Sign can go an entire season without having one missed sign. And, it's impossible for the opposing team to decipher the code! Creating pick proof signs so that other teams can't steal your signals...ever! Save your team budget with this affordable software. There is no need to spend $250 (+$50 every year) when you can get Never Miss A Sign for $175. Creating these wristbands "by hand" is a tedious process that takes hours. Your time is better spent coaching your players, not sitting at your desk. If you do have any more questions about how Never Miss A Sign works watch the instructional video HERE and read the FAQs. As a way of saying “Thanks for stopping by” I’m going to give you this book for FREE! Simply enter your name and email address below and I’ll email it to you. I hate spam too. I promise to NEVER send you any! You asked for it, and you got it! In Never Miss A Sign v3.0 you can now highlight cells quickly and easily. Choose between 6 different colors and highlight as many (or as few) cells as you choose. This places an emphasis on certain signs for your players. Before, the only option was to have 150 signs on each wristband. Now you can choose if you'd like to have 54, 96, 150, or 216. You can easily change the number of plays on each wristband by choosing if you'd like the wristbands to be 3x3, 4x4, 5x5, or 6x6. It's never been easier, or more customizable! Want to save paper? Now you can by printing multiple player cards on each sheet. Many people have asked for this feature, so we added it! 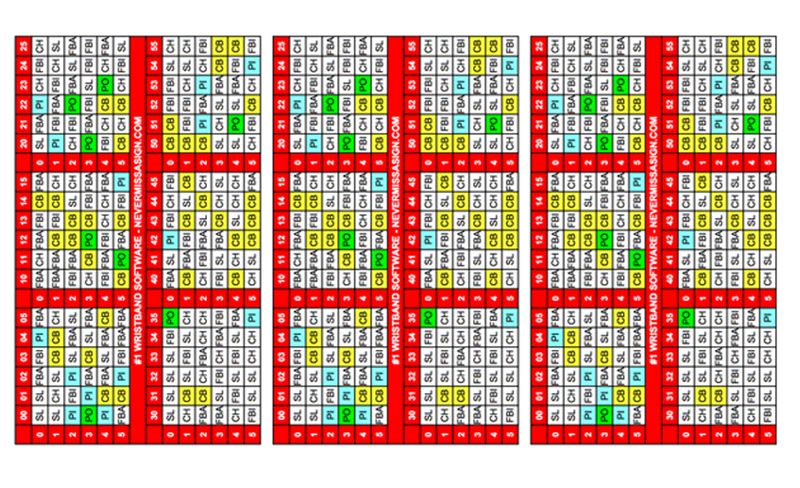 Depending on the size you print, you can print up to 5 player cards on each sheet of paper. Developed by a coach for coaches! My name is Xan Barksdale and I developed Never Miss A Sign in 2011 after being frustrated with the other software that was on the market. It was expensive, poorly designed, could only be used on 2 computers at a time, and required yearly renewal fees. These limitations made me realize that there needed to be a quick, easy, and affordable way to create wristbands for baseball and softball. So I hired a team of developers and what we came up with is Never Miss A Sign! What makes Never Miss A Sign different is that it was developed by a current college coach. I have been an NCAA Division I coach for almost a decade coaching at the University of Louisville and East Tennessee State University. Because I developed this software so that I could use it with my own team, it has all the features and benefits that you would expect. After all, it was developed by a coach for coaches! Xan Barksdale was a catcher in the Atlanta Braves organization before beginning his coaching career. He coached at the University of Louisville for 5 years with head coach Dan McDonnell and helped the team make a College World Series appearance in 2007. He was also a part of 4 Big East Championship teams. 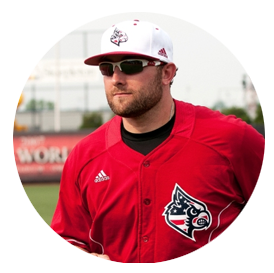 Xan left Louisville to be the Recruiting Coordinator at East Tennessee State where they won 2013 Atlantic Sun Championship. Coach Barksdale is also the author of Catching-101 and has produced many other instructional books and DVDs. 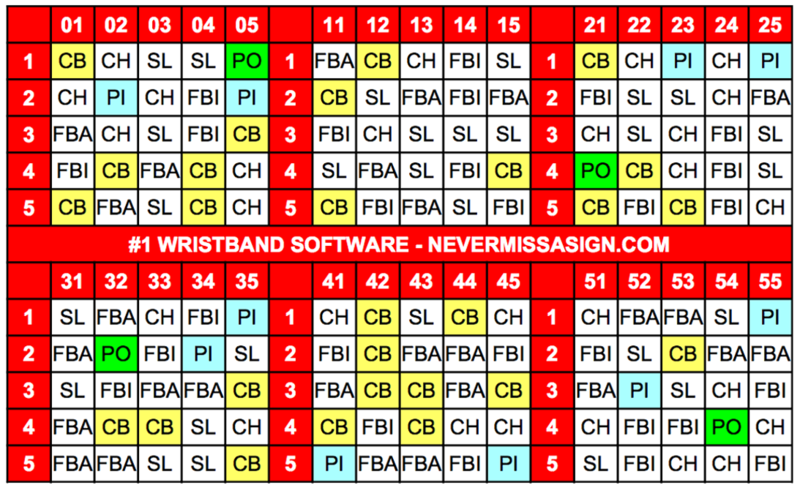 "This is tremendous software that allows quick flexibility to change the wristbands. That makes it easy to manage the system for our entire pitching staff. It's fast and easy for me to make a sign system for each pitcher." "I love how easy Never Miss A Sign is to use. I can even generate wristbands from my iPhone. This is the only software I'll ever need." "One of the first must orders when coming to Auburn was NEVER MISS A SIGN. It is the most adaptable, efficient and full proof pitch calling system our coaches and players have ever used. Thank you Xan for such a complete and universal design that can work at all levels and can be implemented on both offense and defense." "I have used Never Miss A Sign while coaching at Stanford, Cal State Northridge, and now here at ASU. It is amazing to have access to a software that only takes minutes to produce easily read wristbands. All of our staff and players absolutely love it!" Now you can make missed signs a thing of the past. 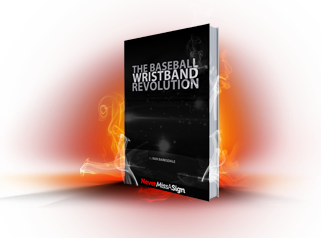 When you start using Never Miss A Sign Wristband Signs for your baseball or softball team you will eliminate missed signs and give your players more confidence. Why Choose Never Miss A Sign? Join the 1,500+ other teams already using Never Miss A Sign and Sign Up Today! "Tremendous software that allows me to quickly and easily manage the system for our entire staff without building a ton of templates."